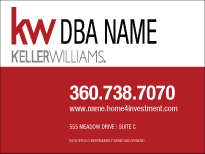 Please select one of our KELLER WILLIAMS® Panel styles below, and personalize the agency name and details. 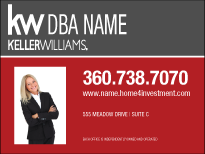 Each template can be ordered in 18x24 or 20x30 inches. 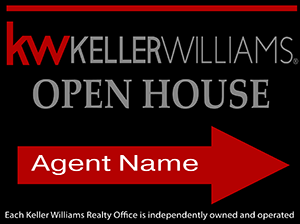 Note that some elements in our Keller Williams signs may be locked in order to prevent customization changes that could disqualify the printed sign from compliance to the KW's design and style spec standards. 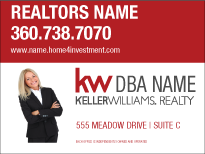 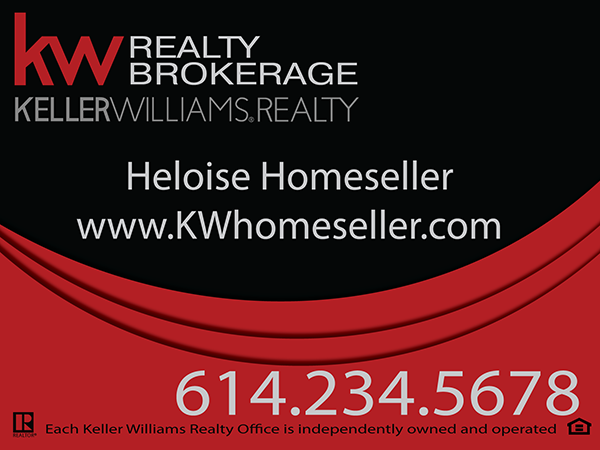 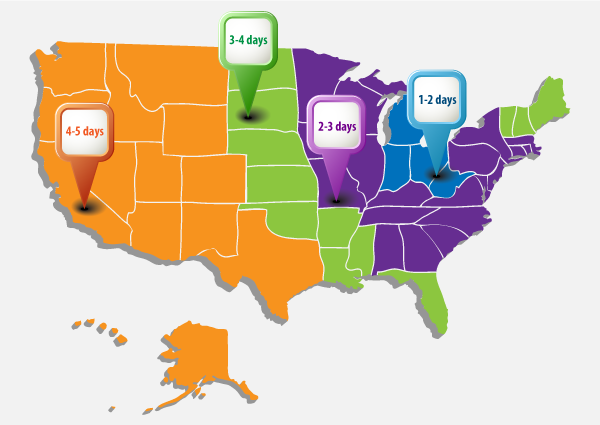 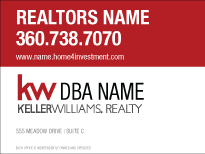 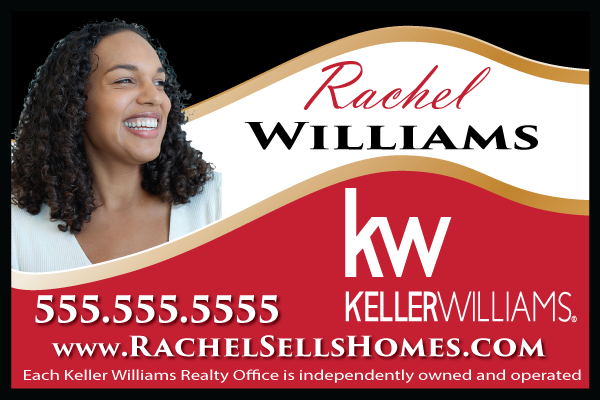 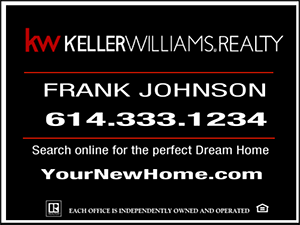 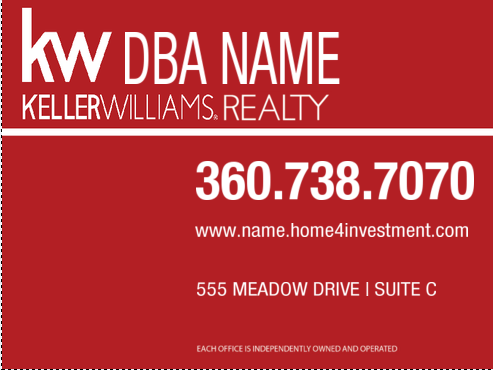 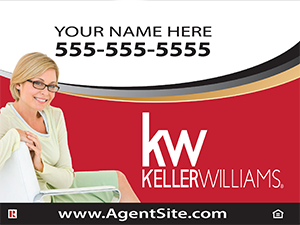 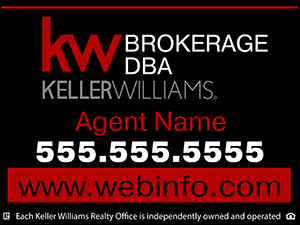 Interested in our KELLER WILLIAMS® economical, "Lightweight" Coroplast® real estate signs? 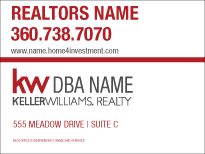 Looking for Vehicle Magnet to turn your car into a Marketing Machine, or a Full Color Banner for your next big event?